Should you list your house as For Sale By Owner? A lot of people decide to go the FSBO route because we are a nation of can-do people; we fix our own cars, our own lawnmowers, etc. You name it, we can do it. You know your home better than anyone and you’re certainly smart enough to sell your house, so why not? There are two main reasons why people want to sell their homes on their own. First of all, they want to net the most money when they sell and think that saving on commission is the best way to do that. However, there is only a small pool of buyers on the market interested in FSBO properties. Those buyers want to save on commission too, so they aren’t working with agents. 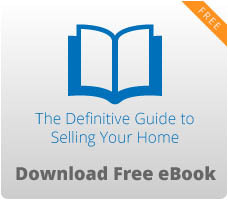 In most cases, it can be hard for the FSBO seller and the buyer to reach a balance. Secondly, most FSBO sellers will only sell if they can get their price and it doesn’t matter if the home sits on the market for a while. However, anyone who sells their home has an ideal price that they want to get, and most can get that price by working with an agent. Only 9% of homes sold in a year are FSBO properties. If you’re considering selling your home on your own, you should know that only 9% of all the homes sold in a year are FSBO sales. Not only that, most FSBO sellers sell their homes to friends or family members. If you’re selling your home on your own, you’d better market to your friends and family; they are your best prospects. 1. Buyers are on the internet. Your home may have a presence on the internet, but we’ve established an internet presence that’s taken us 20 years to design, pay for, and implement. If you work with us, your home will be marketed to a vast pool of buyers. 2. Buyers are working with other agents. We enjoy working with those agents and can give you access to all the buyers in the market. 3. Homes that sell fast also sell for more money. We can build anticipation for your home so that by the time it hits the market, your house will be packed with the most qualified buyers around. 4. We’re really good at what we do. We have sold more previously owned homes than other agents. 5. You’ll have your pick of buyers. In a buyer’s market, buyers have many options to look at before making a choice. Since we’re in a seller’s market, doesn’t it make sense that you would want to have your choice of buyers? We will give you a few options and help you find the one that will go the distance. If you have any questions about what we can do to sell your home faster and for more money, give us a call or send us an email. We would be happy to sit down and talk with you. In the meantime, if you have any other real estate questions, don’t hesitate to reach out to us. We look forward to hearing from you!